I have made cakes using flour before, but our son just won’t eat them. The only way he’ll eat the cake is if I make petit fours which are small bite size pieces of cake smothered in chocolate. His favorite part of grocery shopping is looking at all the decorated cakes in the case. He gets so excited when the new cakes get displayed. I knew this year that I had to make a better attempt to give him a decorated birthday cake that can compare to the ones he looks at in the store. I think I did just that! I decided to go with a Rice Krispie cake because he prefers it over the traditional flour type cake. The entire cake including decorations has no milk (dairy), no soy, no egg, and no nuts. I think the toughest part was finding materials to use as decorations that were allergy free. It took me two days to complete. This is what I did. I used Starburst candy for the neon signs. I popped them in the microwave for 7 seconds to warm them up a bit and make them easier to flatten. 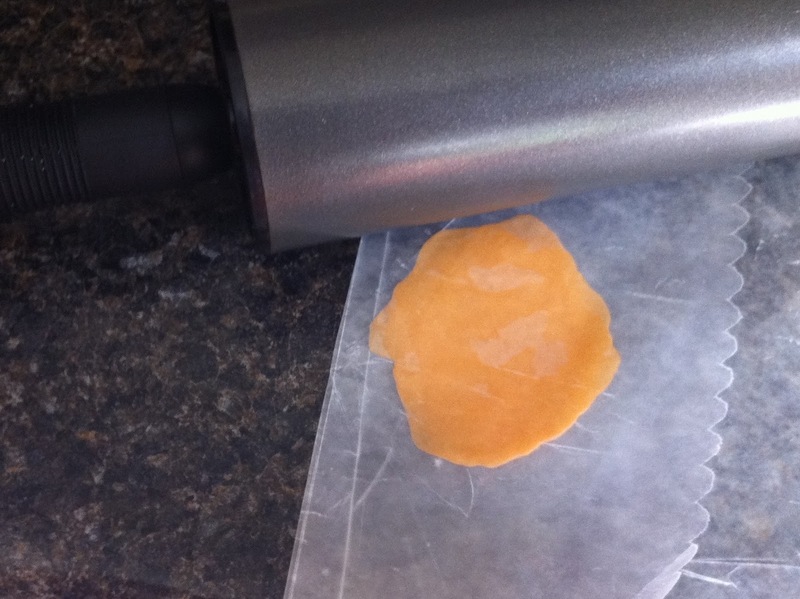 Then I placed it in between two pieces of wax paper and rolled it out with a rolling pin. I used my super sharp knife and cut the pieces into squares and small strips. Then I just formed Japanese letters with the strips. 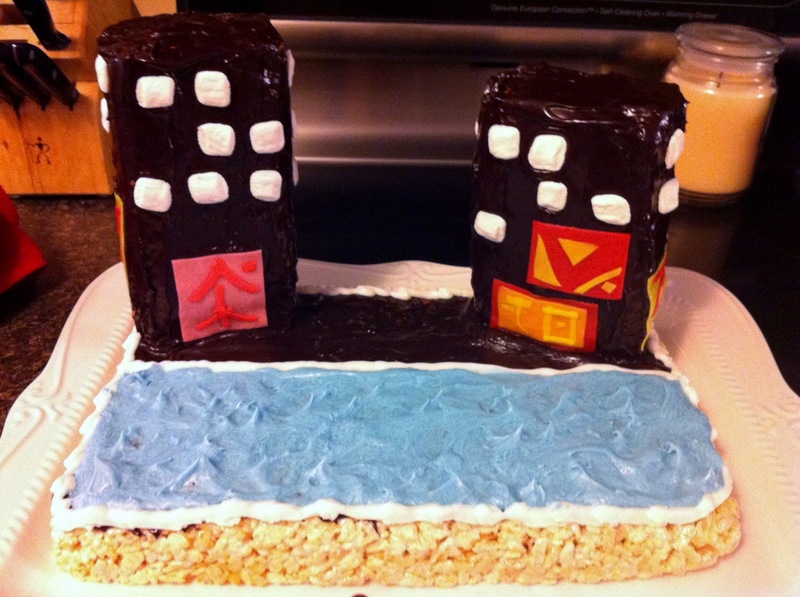 I used Enjoy Life chocolate chips for the coating on the buildings and cake. 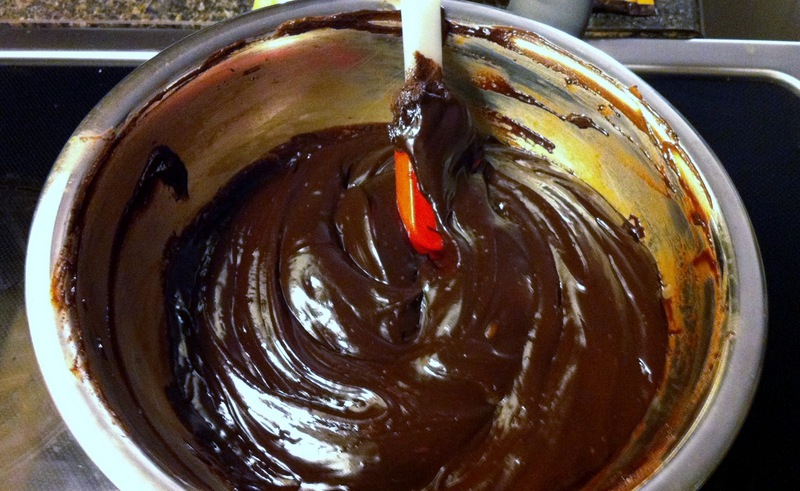 I melted it in a double boiler with some corn syrup (makes it shiny) and a little rice milk. 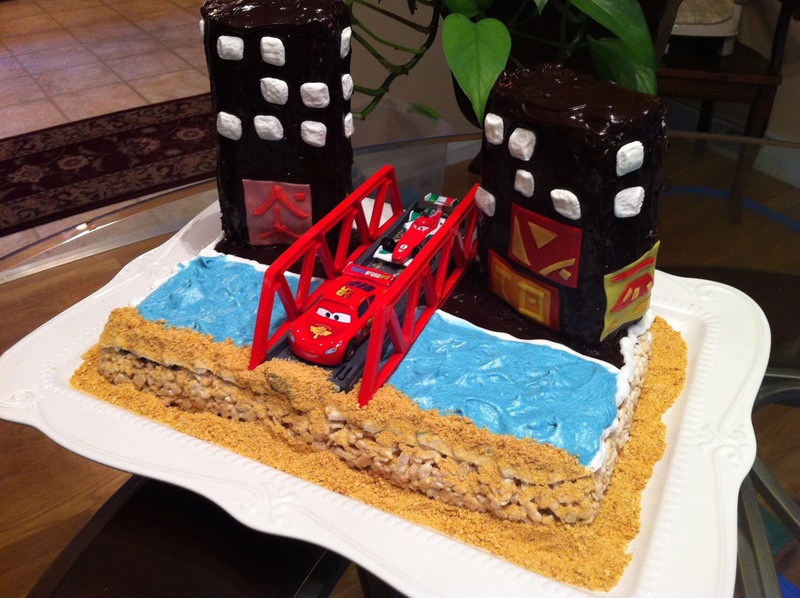 Then I just spread it onto the top of the cake and four sides of the buildings. The little windows are small marshmallows that I smushed flat. 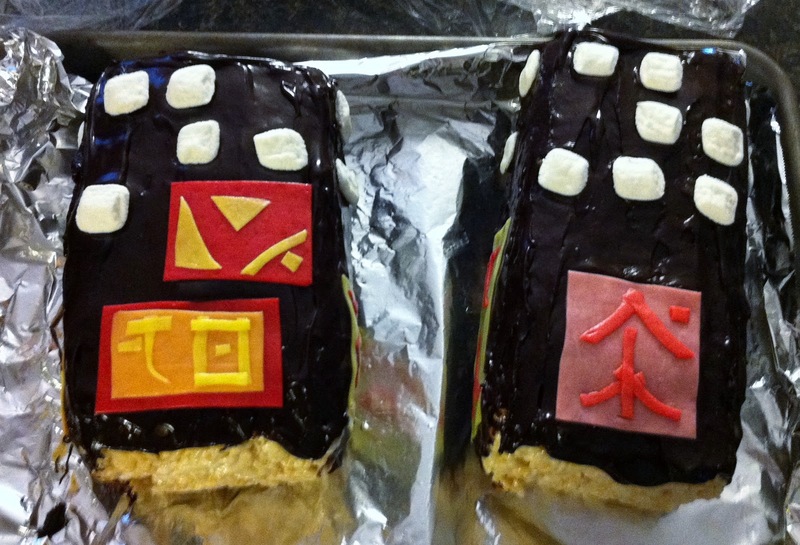 I placed the neon signs and little windows onto the chocolate while it was still wet so that it would stick. Next, I frosted the cake using powdered sugar, rice milk and spectrum shortening. I made sure to use a lot of sugar to hide the taste of the shortening. I lifted my spatula to make little waves in the frosting. Last, but not least, I blended up some allergy free graham crackers to use as the shore. I added a bridge from our Thomas the Train set and don’t forget Lightning McQueen and Francesco Bernoulli. If it tastes half as good as it looks then I consider it a good job! « ALLERGIES: What’s Cookin’ Good Lookin’? I hope he loves it. What is it? The website is a little vague as to how they would treat food allergies. When I looked up a dr in our area that is trained in NAET it came up with a psychologist.